Showcase decorated Easter eggs or use for cooling hard boiled eggs. 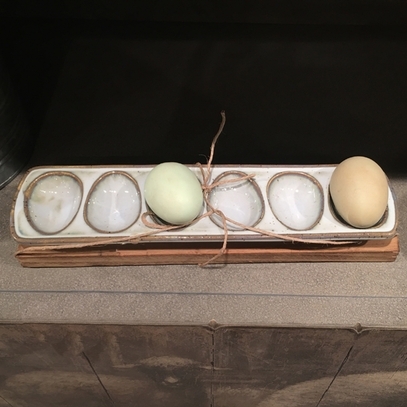 Blue tinted ceramic dish holds six eggs and sits on a wooden trivet. (Eggs pictured are not included). 3� x 3� x 11 ��l.